This weekend was the Peninsula Dog Fanciers Show at the Kitsap County Fairgrounds. This was an extra special show because it was Kenji's first show. Both days he got reserve winners dog with his owner handling him. It was the owners first time in the ring, too. Trixie is out of coat. So nothing for her. But she was handled superbly by Lea, one of my 4H teenagers. Lea wanted to try handling at an AKC show and what better dog to try it with than Trixie. The two made a great pair. I would definitely let her handle her again when Trixie is looking a little better. The exciting event of the weekend was when Lea took Trixie out to go potty. Trixie slipped out of her show collar and took off at full speed. Luckily Lea is a great runner as well as a good handler, because it took all she had to keep up with her as she ran around the entire building. A group formed to corral Trixie into one place. 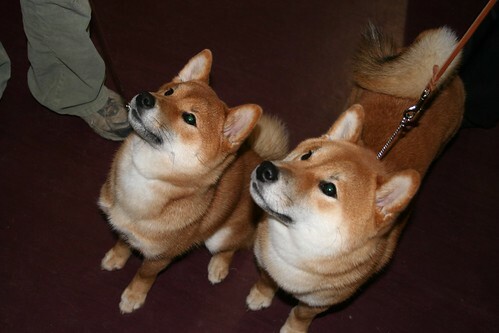 And finally two shiba people saw what was happening and jumped in and grabbed Trixie. All was well. Of course, I was inside chatting away and knew nothing of the goings on, until Lea came back to the ring totally out of breath. And total strangers began to filter by calling Trixie "the runaway". What? 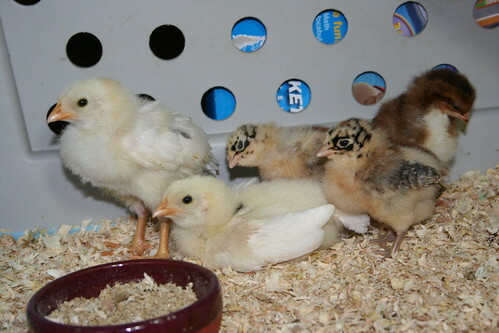 Yep, we're the proud owners of some baby chicks... two California Whites, two Sicilian Buttercups, and one Speckled Sussex. Very different from raising puppies. Not sure how shibas and chickens will mix, but we're going to give it a try. Don Juan is standing guard at the crate right now, his paternal instinct kicking in (really he's thinking they'd make a good snack). 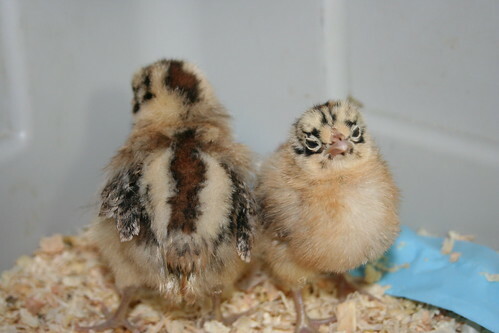 Looking forward to farm fresh eggs! And sure enough, he's a champion! The exciting news is that Kona finished this past weekend with four 4-point majors. The next day Valerie was talked into leaving him in the class to hold the major and he won again... another 3 point major. For a total of 19 points (all majors). They are going to take a break to let him mature. Maybe we'll see him in the ring with the specials.